1. Learn about your customer’s needs and try as hard as possible to deliver a solution that solves the customer’s business problem. Whether you’re running a product or a service-based business, make sure that you are solving a real business problem. Pretty pictures or a big pile of features are totally useless if the problem is not meaningfully solved. Solving problems relies on subject matter expertise, which can be gained through experience working in a target industry or acquired by carefully listening to your prospective customers. 2. Hire the best people you can possibly find and treat them like people, not like interchangeable resources. Karma is real: Be mindful of it in the way you deal with your employees, prospects, business partners, and clients. You’ll be rewarded by loyalty, flexibility, and referrals of other prospective clients and team members. At Table XI we employ the whole person. Our developers are some of the best coders out there, but they’re also film buffs, foodies, musicians, gamers, and marathon runners. We like that. We try to provide innovative spaces and resources to do the work—some of our most popular workstations are standing desks—as well as reasonable hours and flexible schedules that fit our team’s lifestyles and allow them to pursue their personal interests. We find ways to tap into their creativity and passion in the projects they work on. Ultimately our work is better for it, our team is happier, and we find we’re able to recruit and retain top talent in an increasingly tough market. 3. Watch your cash. Many perfectly profitable businesses fail due to cashflow and capitalization issues. This point is ultra pragmatic, but true. 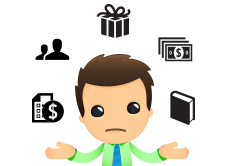 You need to know where you stand with cash at all times and structure your products and services around the realization of cash. If you cannot pay your employees or your vendors, you are dead in the water. One of the first things I did when I started Table XI was to begin building a relationship with a bank. We applied for a line of credit as early as possible. We’re still with the same bank today, and they’ve supported us every step of the way, even through the occasional sticky situation. 4. Read Guy Kawasaki’s “The Art of the Start“. In my view this is the single best book on entrepreneurship ever written. Among other things, it talks about the importance of making meaning (vs. money), creating a mantra (vs. a mission statement), the importance of pitching constantly, and the art of succinct communication (10/20/30). I’ve recommended this book to every aspiring entrepreneur I’ve ever talked to, and used its core principles to help launch every company I’ve ever started. 5. Work on something you’re passionate about, don’t do it for the money. Ideally, you’re going to be locked into this project for a long time, working long nights and making sacrifices (often daily) to get your idea off the ground. The best advice I can give you is to love what you’re doing. Sometimes, despite having the best team, technology, and ideas, the money still doesn’t show up. The hard truth is that many businesses fail, so you might as well enjoy the ride. 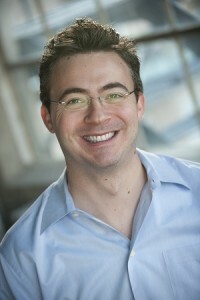 Josh Golden is the CEO and Founder of Table XI, a Chicago-based web and mobile development, design and strategy firm, and co-founder and managing director of Ebert Digital, parent company to RogerEbert.com.